Emily Malina is a Communications and Design Specialist for NDI's Government Relations and Communications team. 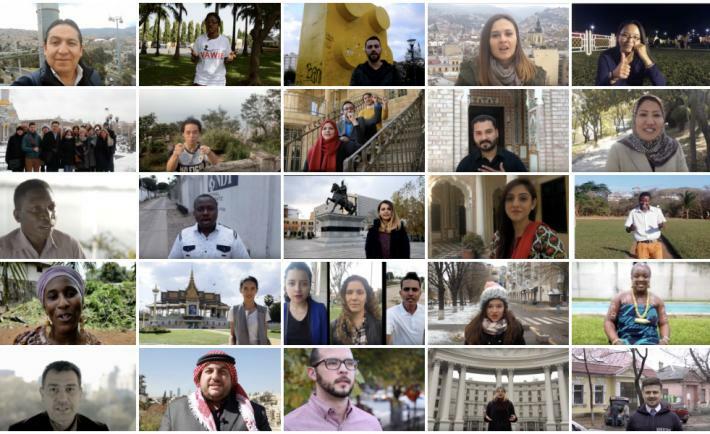 For our bipartisan dinner, we developed a video compilation, which asked our partners one single, powerful question: “What does democracy mean to you?” The video responses we collected included both a one word answer and a 15 second explanation on the meaning of democracy. The result was amazing. Who's #TweetTalking About Tunisia and Democracy? 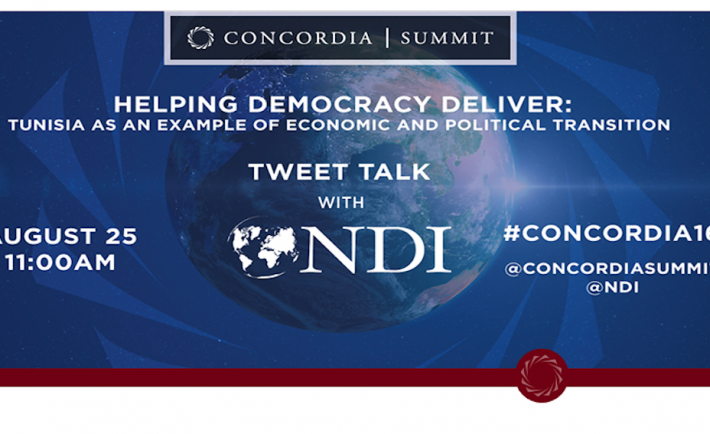 Just weeks before the annual Concordia Summit in New York, NY on September 19th and 20th, the National Democratic Institute and Concordia partnered to host a TweetTalk as an extension of the panel, “Helping Democracy Deliver: Tunisia as an Example of Economic and Political Transition.” Like the panel, the TweetTalk aimed to explore themes like extremist activity in Libya as a threat to Tunisian progress, and whether decentralization can address regional inequalities.